© Collage with details from the cover of the LP „récital“ (Toto Bissainthe, 1967-68), film still from „Visages de femmes“ (Désiré Ecaré, 1985) and exhibition view, „Kodak“ (Tacita Dean, 2006) by A. Busch & MH Gutberlet, 2017. 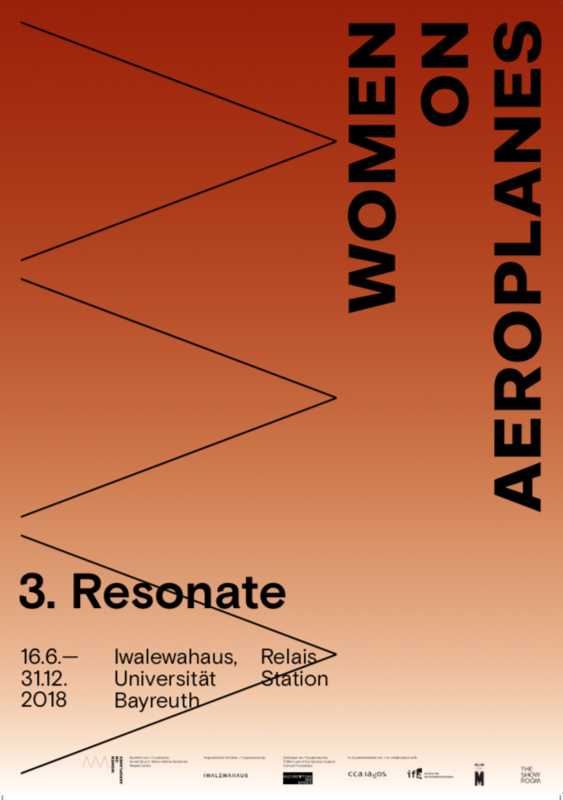 The point of departure for the research project Women on Aeroplanes comes from the title of Ghanaian writer Bernard Kojo Laing’s critically acclaimed second novel Women of the Aeroplanes, written in 1988. With his ironic deconstructive syntax and his implosion of genres, he sets the tone for a historic narrative enfolding in the present tense, in which subordinate subject-object relations are deleted. His method of a speculative fiction writing can be seen as a making-of theory with other means. Consequently using Laing as one of the reference points might help to design a new grammar that contributes to making possible re-visiting and re-writing of history. Looking closely at the long history of transatlantic networks and the struggles for liberation, predating the process of independence on the African continent, women were always important and played all kinds of roles, but their stories are hardly told and their faces remain widely invisible. Not only do we want to frame their various and heterogeneous contributions, politically and artistically, but also create new parameters and premises of storytelling. To recall the notion of independence today can only mean to address the gap between formal independence and a process of decolonization that was simultaneously national and intranational, transnational and international and which remains, in many ways, incomplete. 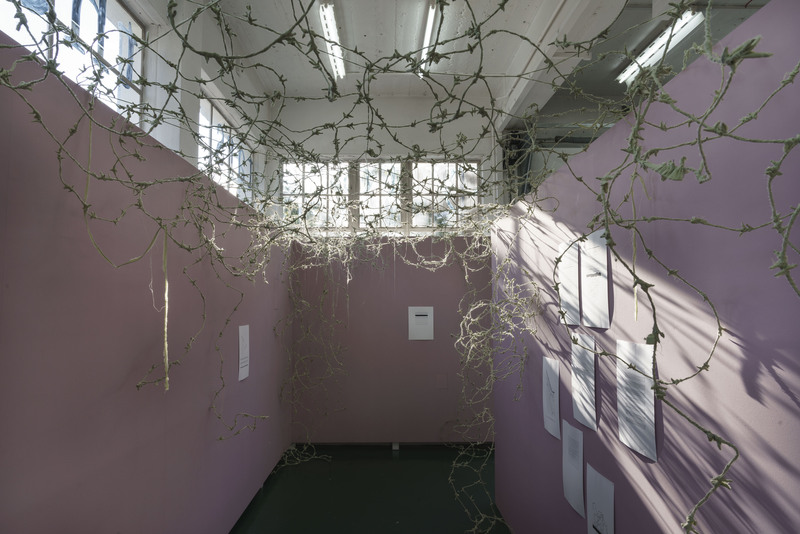 The research-based project aims to get an idea of a more comprehensive notion of independence which allows us to see and understand a women-informed view on a shattered presence of complicated dependencies. In this regard, unorthodox perspectives and a focus on entangled working and gender relations need to be raised, that exceeds a project of replacing the heroes of independence with the heroines of liberation. 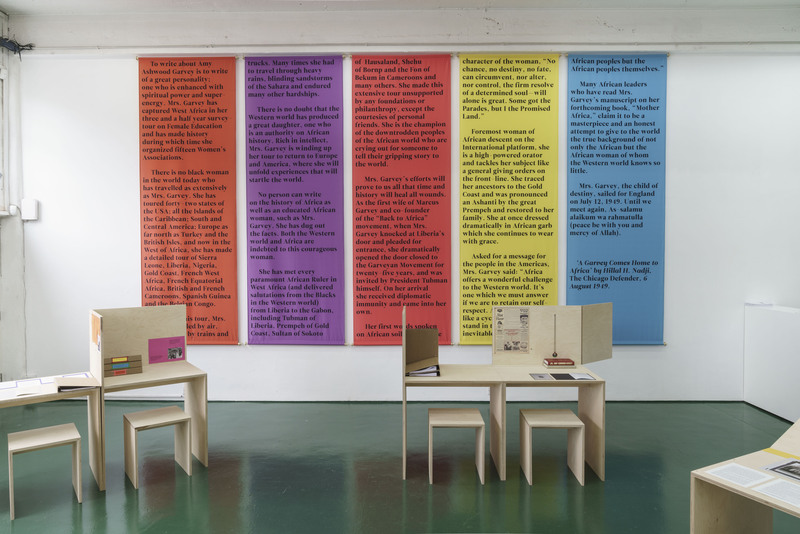 To make her contribution in history and the moments of her disappearance visible also asks for a different valorization of her work and a picture that frames relations and communities rather than individuals. 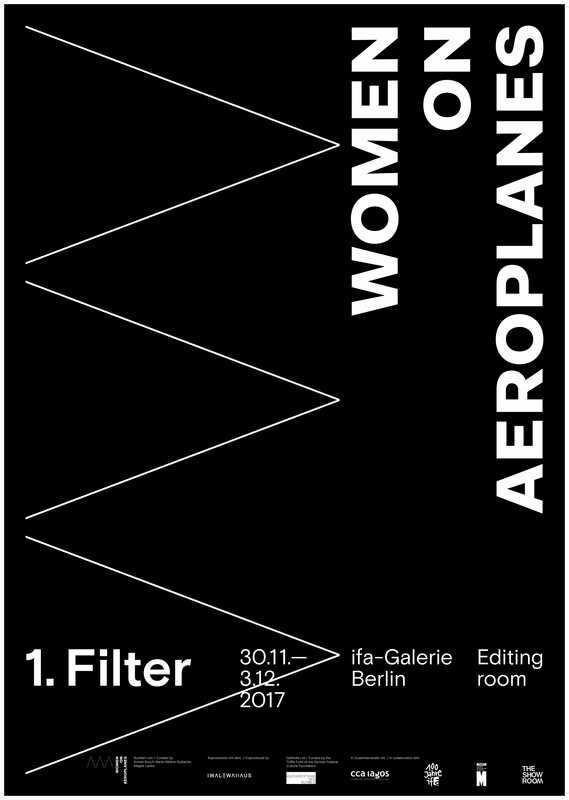 The project title Women on Aeroplanes is borrowed loosely from a novel by Ghanaian writer Kojo Laing who is known to endorse an interconnected identity of both, the European and the African continent. With his ironic deconstructive syntax and his implosion of genres, he sets the tone for a historic narrative enfolding in the present tense, in which subordinate subject-object relations are deleted. His method of a speculative fiction writing can be seen as a making-of theory with other means; quoting Laing as one reference might help us to design a new grammar in order to re-visit and re-write history. Furthermore, Women on Aeroplanes is made productive as a research method and opens up a range of associative meanings connected to travelogues, class-system, accessibility, choice of profession, crossing borders, dress-codes and not least the importance of national African airlines in the euphoric days of independence. The longing for independence often accompanies the claim for freedom of movement, a crossing of time and space, be it geographical, political or artistically. Filter comprised a series of lectures dedicated to play with different critical, theoretical and optical filters as a preliminary work for the making of tools (a grammar) to speak to her representation and history-making from different imagery, and thus to filter the cinematic presence of women out of a representation of history. 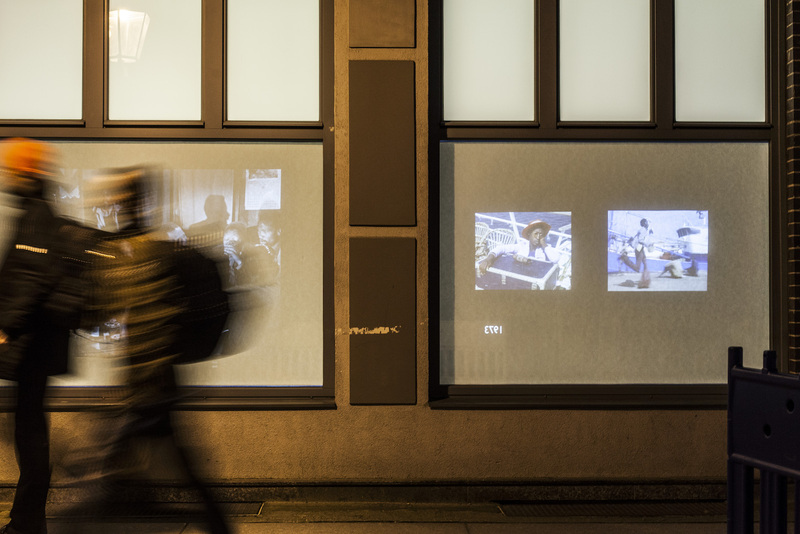 The gallery space became an editing room for her picture to unfold from the ephemeral. 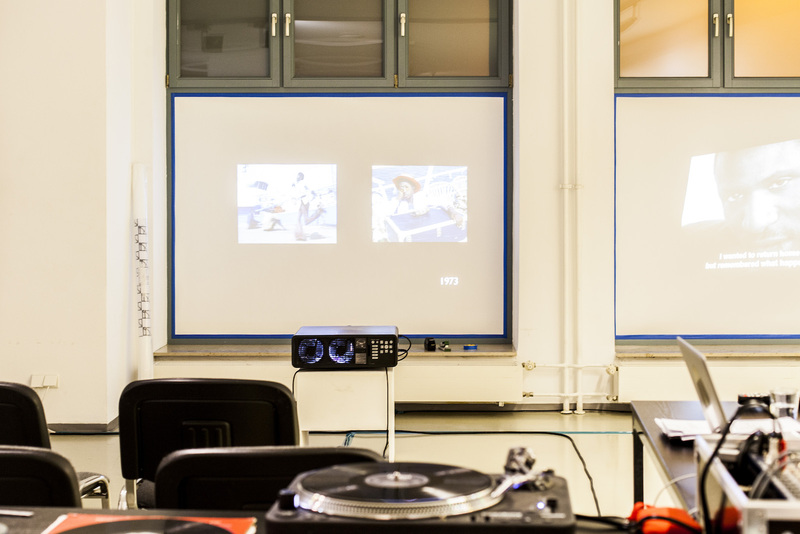 Editors, artists, archival researchers and producers, historians and curators, discussed processes of decision making and criteria that lead to the next cut, the duration of a take, its rhythm. The outcome of this filtering process was reflected together with the methods of editing as a tool to address her visibility. 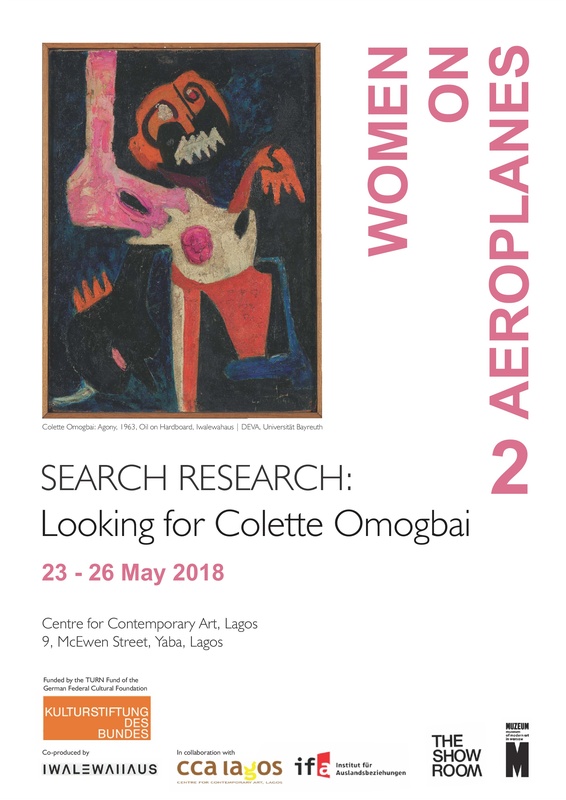 The second edition of Women on Aeroplanes at CCA Lagos SEARCH RESEARCH: Looking for Colette Omogbai comprised a series of lectures dedicated to unfolding and mobilising different ways of theoretical and artistic, academic and non-academic strategies of investigation and thus to center the presence of women out of their non-representation in the history writing process. The art and life of the pioneering Modern Nigerian woman artists such as Clara Etso Ugbodaga-Ngu, Afi Ekong, Colette Omogbai, Theresa Luck-Akinwale and Ladi Kwali, remain unknown and unpublished even though their work is crucial for the understanding of modernist art in Nigeria. Not only are they absent in the wider narrative around their contemporaries such as Ben Enwonwu, Uche Okeke, J.D.‘Okhai Ojeikere, Demas Nwoko, Bruce Onobrakpeya, this invisibility is being repeated in the lineage and reference to today’s art practice and histories. How do we address the void, how do we look for them? 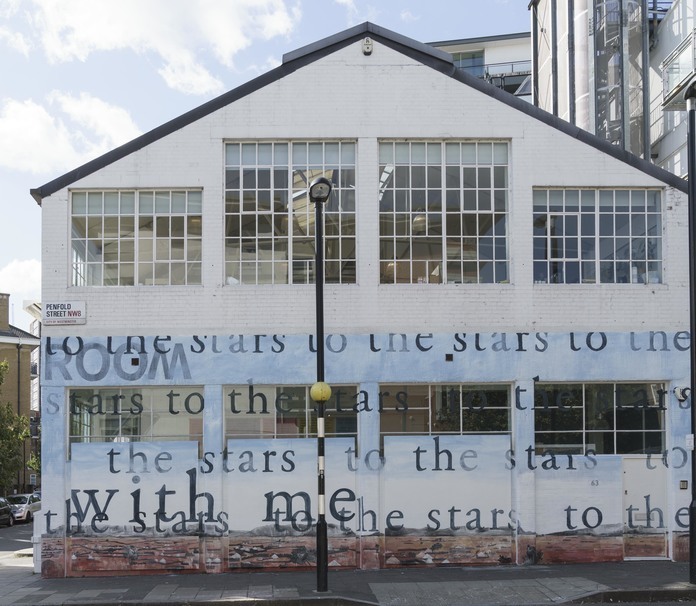 What new art historical methodologies can be developed in a context where story is determined by absence? In finding them, what could change in the narrative? 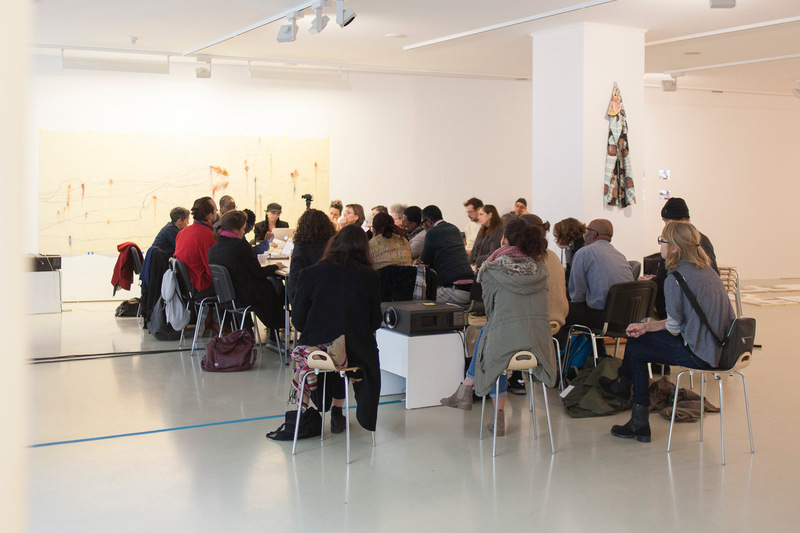 Artists and art historians, archival researchers and writers, philosophers and curators, spoke about the processes of research in their specific locale and the transnational outreach of their ‘detective’ work. Participants included Garnette Cadogan, Rahima Gambo, Gladys Kalichini, Maryam Kazeem, Jihan El-Tahri, Lungiswa Gqunta, Fabiana Lopes, Seloua Luste Boulbina, Nontobeko Ntombela, Temitayo Ogunbiyi, Wura-Natasha Ogunji, Nadine Siegert. 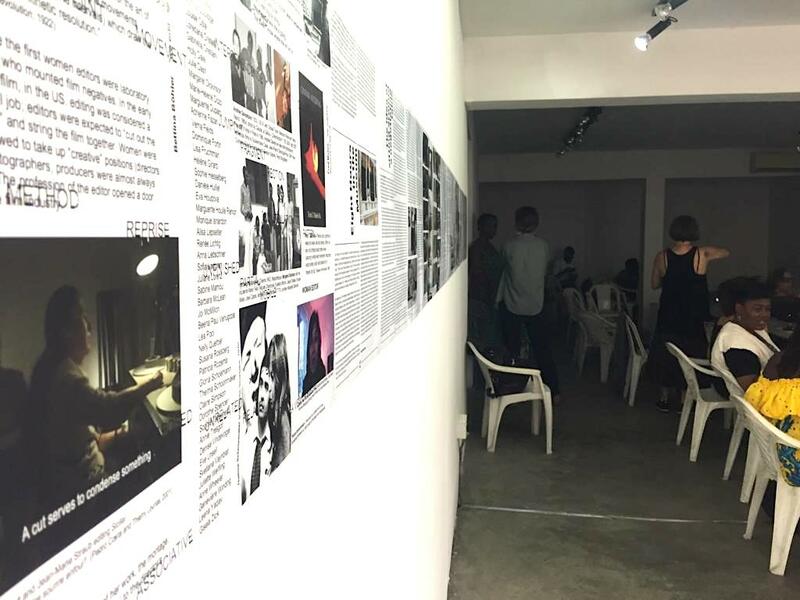 This iteration was co-ordinated by Bisi Silva, Director CCA, Lagos and Iheanyi Onwuegbucha, Associate Curator, CCA, Lagos. 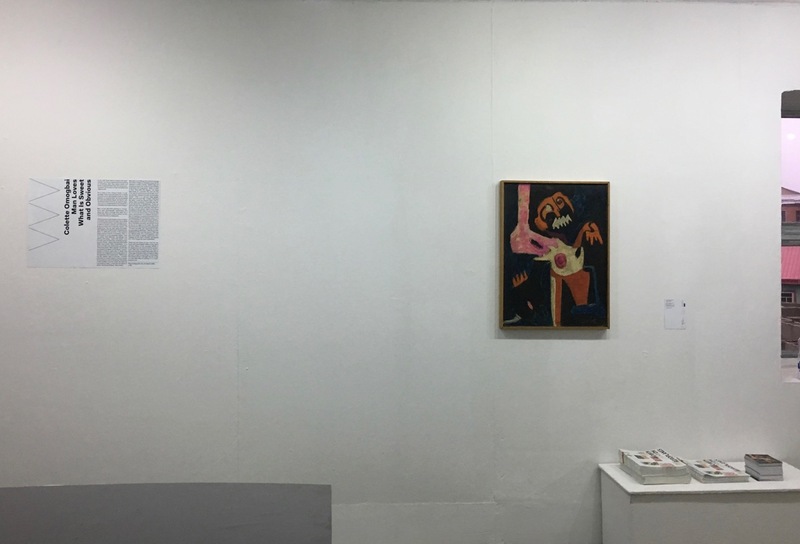 Exhibitions at The Showroom (London, September 2018) and Museum for Modern Art in Warsaw (October 2018). Women on Aeroplanes presented new work by artists Lungiswa Gqunta, Pamela Phatsimo Sunstrum and Emma Wolukau-Wanambwa, observing the largely unrecognised role of women in struggles for liberation, their participation in transatlantic networks, and their key voices in revolutionary socio-political movements that helped to achieve post-colonial nation-states in Africa. What makes it possible for certain individuals’ stories to prevail, while others remain invisible, or disappear into oblivion? What are the intricacies of institutional or structural erasure? And how does the unveiling of such silenced narratives contribute to collective thinking? 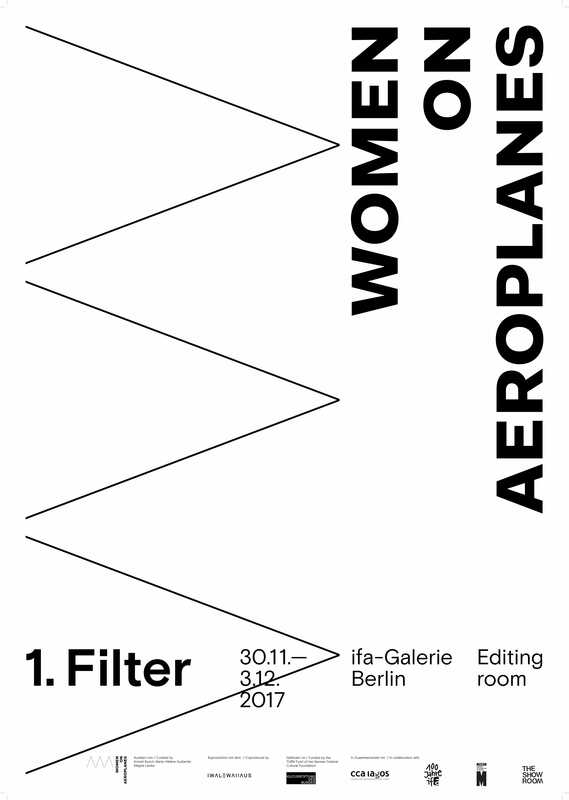 The Showroom and The Otolith Collective raised these questions in a curatorial format in the London iteration of Women on Aeroplanes. 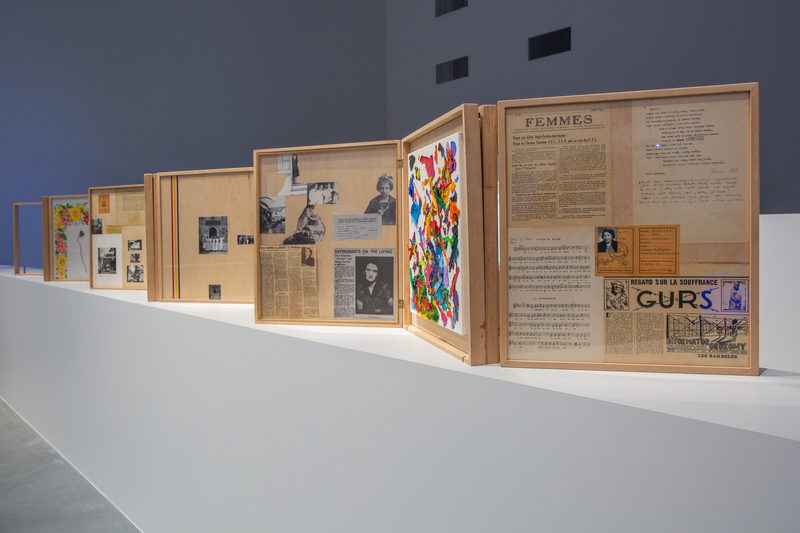 The exhibition Niepodległe: Women, Independence and National Discourse examine the role played by women in 20th-century narratives of national liberation. Taking the centenary of the revival of Polish independence as its starting point, the exhibition looks at pivotal moments in history and at various liberation movements: beginning with the year 1918, through 1945 – when the political discourse of independence expanded to include the decolonization of the global South – all the way up to 1989, when the fall of Communism ushered in a new era of globalization. The show reveals the gendered character of historical narratives by showing how women have been overlooked in the national narratives in various times and places. 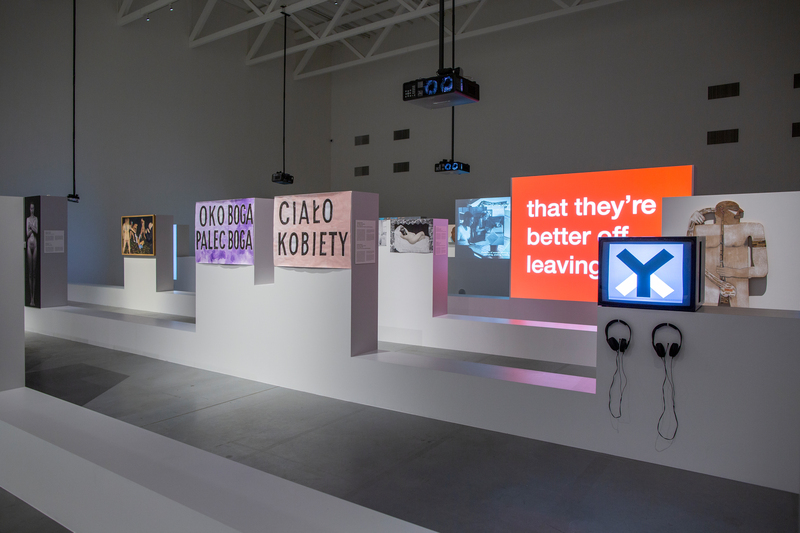 The title of the exhibition postulates an urgent shift away from the considerations of symbolic womanhood manifested in allegorical representations of a nation, as in the metonymic expression niepodległa ("independence itself," referring both to the country, which is a feminine noun in Polish, and a woman who is independent), looking instead at actual women who played parts in liberation movements, along with what women's presence – or, too often, their absence – may say about the condition of a country, a nation or, more broadly, contemporary culture in general. Hence the niepodległe (the plural form designating women of independence) of the title, referring at once to a collective that has been ignored in the telling of history while underlining the political agency of women independent from confines set by the dominant culture. The works of the twenty-nine artists in the exhibition undermine the patriarchal order of the historical narratives, striving to shape a more diverse image of women and the way they are depicted in history.